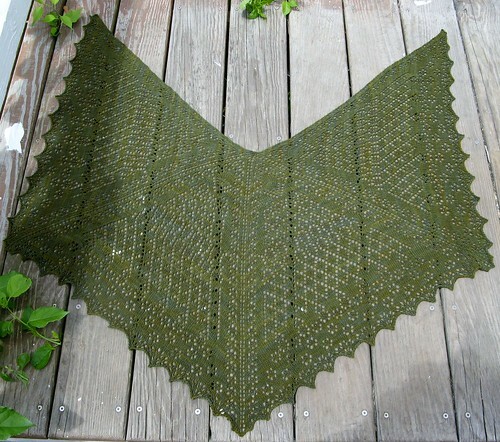 This is my fourth year making the Anniversary Mystery Shawl — a free KAL put out annually by prolific lace designer Renee Leverington. 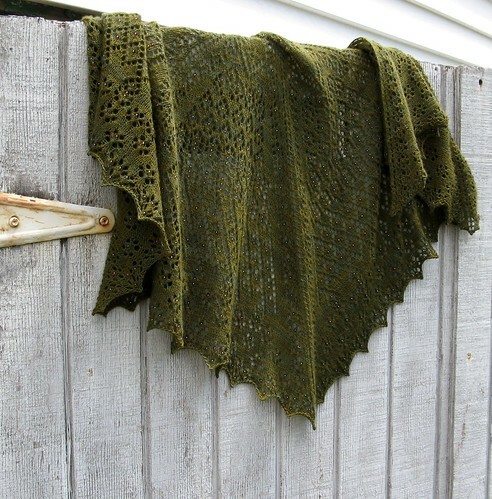 I chose Malabrigo Lace as a backup plan, when a skein of lace from my stash turned out to be horribly cut up in many places. (I’m STILL not happy about that!) But, it turned out to be a great excuse to knit with Malabrigo Lace, which is so soft and wonderful. It is a single-ply, which makes it a tad delicate, but definitely worth the extra effort. After trying several colors, I settled on “Translucent Amber” beads with a “Rainbow” finish. 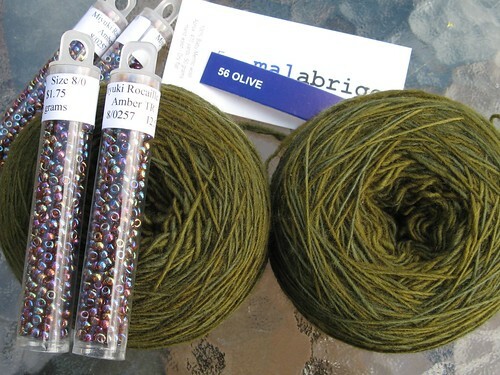 I love the warm neutral brown of the amber, and the translucence allows the bead to blend with the yarn better. Finally, the rainbow finish makes each bead a bit different, again allowing for better blending. At least that’s my theory! 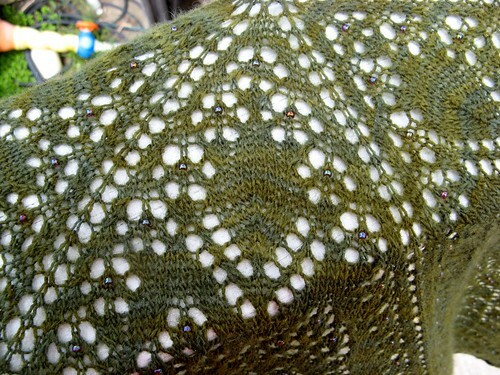 My favorite part of this shawl was the big leaf motif at the top! 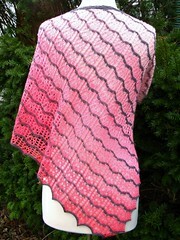 This shawl is a 4/6 hexagon. You could block it as a square … but I vastly prefer the 4/6 hex shape. I should take a “modeled” photo — it hangs beautifully, stays on well. 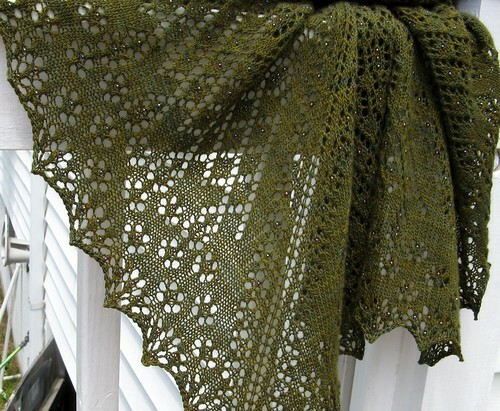 Such a beautiful shawl! I love Renee Leverington’s designs; they’re just amazing! And the olive colour suits that pattern really well, too.